IPL – Indian Premier League, has always been a talk of the town whenever it starts. 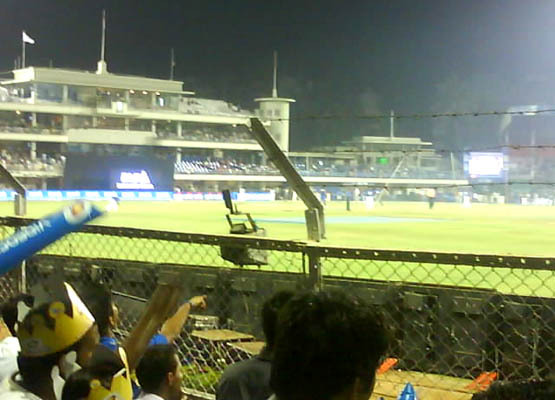 People start making remarks as IPL is taking away all the charm and enthusiasm from cricket. Also they say there is too much of cricket. But whatever one says about IPL when you reach home from work or class and you switch on the TV and see a player smashing the ball for sixes and fours you just tend to get glued to it if you are cricket lover. In this game you see contests that you can never see elsewhere, same national level team members fighting it out against each other. What else can a cricket lover ask for. Just the perfect sport to look and enjoy when you are with a group of friends at a weekend or any weekday. As said it is good for entertainment and does not take away the charm of cricket at all. The only issue there seems is the length of the whole tournament, there are too many matches against the same teams which gets a bit too boring at times. If they make the schedule more shorter as i think they will have to with two more new teams added to the existing 8 teams. As a die hard cricket lover i just love watching the IPL and enjoy it after having a pretty nice hectic day at work. infact it has helped to brought up new young indian talent..